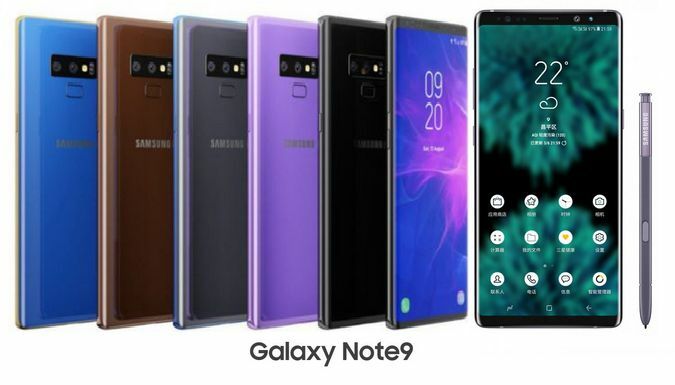 Samsung has confirmed that the Galaxy Note 9 will make its debut at on 9 August at a Samsung Unpacked event in New York, before it goes on sale two weeks later on 24 August. The launch will be live-streamed (below), with the event set to kick off at 4pm UK time. The Samsung Galaxy Note series is a Samsung widescreen device and always so this is unlikely to change in the near future. It is a series that makes phablet fashion after all, so fashionable that no one even bothered to call them phablets again, with them sliding into the norm for cellphones today. Traditionally, the Note series came with a 5.7-inch screen, but it all changed with the Note 8, which pushed a new 6.3-inch size, slightly larger than the Galaxy S8 +. And that's the screen size we will see in Galaxy Note 9, with a 6.3-inch Super AMOLED screen, all confirmed. That screen size is not an overall size that saw a leap last year, with the Note 8 offering a very similar footprint to the previous 5.7-inch device thanks to the new 18.5: 9 aspect ratio compared to the 16: 9 standard. We expect the Note 9 to remain on the same ratio. We also hope Mobile HDR will be on the Note 9 Board as in previous devices, as well as the Super AMOLED panel for rich and vibrant colors. In terms of resolution, the screen is said to be Quad HD +.